We Love Water Sports at Stone Mountain Adventures! 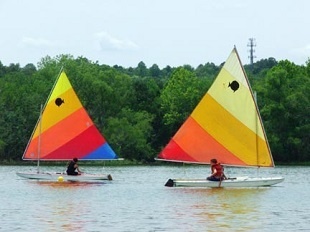 We offer the activities everyday at SMA on Raystown lake. Beginner riders & skiers will love the thrill of beign on the water relsih the opportunity to try something new. Experienced wakeboarders & water skiers will be amazed the solitude of our lake and the power of our 22 foot Glastron boat. There really is nothing better then spending a day on the boat! For those of you that are serious about Wakeboarding and Water Skiing and want priority instruction to focus on skill development, we have the Wake Masters Program. Click Here to learn more about our Wakemasters Program. Our sunfish sailboats and offer experienced sailors the opportunity to challenge them selves on the waters or Raystown Lake. Beginner sailors will learn to love to sail! White Water Rafting is one of the most exciting activities we offer at our water sports summer camp. Nothing really compares to the exhilaration of entering the “white water world” and powering through rapids. Helmets and life jackets are worn by everyone for safety, and professional guides ensure a safe and exciting voyage. “The Yough” is a world class intermediate white water river perfect for young teens. White water rafting the Lower Youghiogheny River is one of the activities we do as an entire camp towards the end of each session. 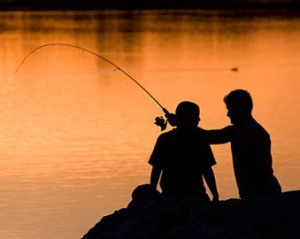 It is a highlight of camp that only reconfirms the bonds everyone has made with each other. 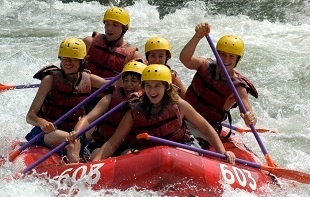 As one of the most exciting activities we do at camp, whitewater rafting is guaranteed to increase your heart rate! 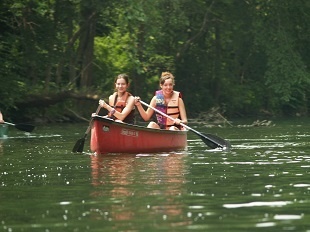 Canoeing is a favorite camp activity on a hot summer day at SMA. 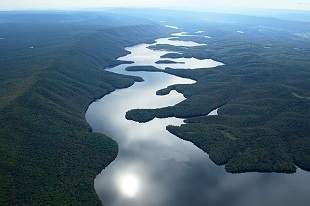 Our location in central Pennsylvania provides us with a number of rivers great for canoeing including the Little Juniata, the Frankstown Branch of the Juniata, the Raystown Branch of the Juniata and the mighty Juniata River. Sometimes we take a slow, playful trip along a winding river and other times it’s a faster trip which lets you command your craft through small rapids.